Artists know that a giclée is a faithful reproduction of an original painting using ink-jet technology (giclée in French literally means to squirt or spray, but it has special meaning in the art world). So what is a photo-giclée? Using the same techniques and processes that are in widespread use for art reproduction, some innovative giclée printers are beginning to offer the same services to ordinary people who want to decorate with images more personally meaningful to them. 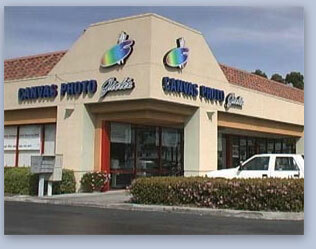 Special photographs may be scanned and re-sized, then manipulated and reproduced on canvas or watercolor paper. The result is a beautiful piece of art that has special meaning to the owner of the original photograph. Images that evoke special memories may include vacation photos, photos of ancestors, family reunions, memorial events, honorarium conferences or other special moments ranging from baby's first steps to sports scenes or a meeting with the president or a rock star - or literally thousands of other events and activities. The list is as extensive as the number of people with special memories. Or one might choose to create a photo-giclée purely for its artistic value - rich, vivid or dramatic, well-framed photographs can be as stirring to the soul as a fine painting. Not only does canvas present a uniquely artistic appearance, but it also has some very practical advantages as well. Because it doesn't require glass, there is no annoying glare or reflection to deal with. This alone greatly simplifies the lighting challenges that can be very troublesome with art that needs glass. Even non-glare glass is only a partially satisfactory solution, as it restricts and even modifies the light, affecting color and image detail. By using specially formulated UV inks, the archival properties of photo-giclées can assure image permanence for 200 years or more, under ideal lighting conditions. Museum quality lighting may be difficult to achieve in the typical home, but with care and planning any home may include areas dedicated to art, which provide near-museum lighting. With the look and feel of original art, any photograph may be enhanced and reproduced on artist-grade canvas, to enrich and inspire.